Over the last week or so, you'd have seen Wareable's full Jawbone UP3 review and our comprehensive Jawbone UP2 review hitting the site. But it looks as if we're going to have to revisit the fitness tracker duo as Jawbone has announced that some meaty updates are arriving for the platform. The new firmware means an extended battery life for both the UP3 and the UP2 - from 5 to 7 days for the former and 7 to 10 days for that latter - as well as better detection on whether the band is being worn or not. If you read our UP3 review, you'd see that we weren't all that enamoured by the sleep tracking functionality on board but hopefully improvements are coming - the new firmware, it's promised, provides better classification of REM sleep compared to deep sleep stages. The final tweak is an improved capacitive touch detection although, we'll be honest, that wasn't really a problem with either of the devices that we tested. The update should show up on the UP app in the next couple of days. You'll see a little blue down arrow at the top right of the app's home screen; just click it and follow the instructions. 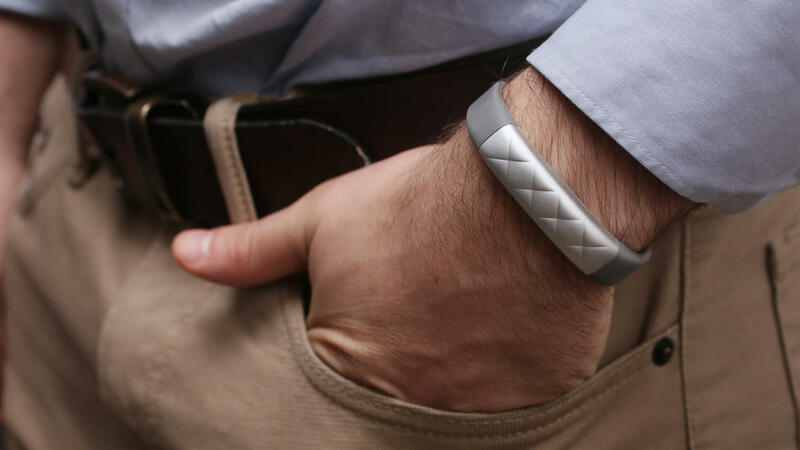 The Jawbone UP3 costs $179.99 and is the company's flagship activity tracker. The more budget friendly Jawbone UP2, essentially a redesigned UP24, costs $99.99.